Which emotional intelligence assessment should I use? Following three decades of research, there is now a diverse range of reliable and valid measures of emotional intelligence available for use in talent identification, management and development. With this diversity, questions understandably abound about which approach best suits recruitment, talent identification, development and the like. Here is a summary of the three major approaches available and which situations and outcomes they suit best. “John responds effectively when challenged”. Talent development (e.g., for the purposes of building an individual’s self-awareness, empathy, behavioural agility, resilience, influence or leadership skills). Recruitment/selection of external hires (e.g., looking at whether to hire someone external into your business). The competency approach looks at an individual’s capability (or level of skill) at applying their emotional intelligence. Most competency measures of emotional intelligence are workplace specific, measuring how well an individual demonstrates a set of emotionally intelligent workplace behaviours. Competency measures of emotional intelligence are typically in a self-other or 360-degree format where an individual rates themselves as do a set of raters such as the person’s Manager, Peers and Direct Reports (or some combination thereof). Bias can be a factor in these 360-degree competency assessments. An individual’s self-assessment of their level of competence is often inaccurate; most men overestimate their competence and most women underestimate it. Raters can also deliberately manipulate their responses if they choose to do so. However, if handled the right way, most of the bias in rater responses can be controlled for (as I’ve written about previously here). Recent comparative research of emotional intelligence measures has shown the 360-degree competency based approach to be one of the most reliable and predictive. It turns out that others’ view on how well a person demonstrates emotional intelligence at work is a robust, reliable predictor of important outcomes such as that person’s performance, stress management, the quality of their leadership, how well they perform at sales and build relationships (see for example the article by Boyle and colleagues – The relation between emotional intelligence and job performance: A meta-analysis in the Journal of Org Behaviour, 32, 2011). Having said all this, the competency approach isn’t well suited to recruitment or selection of external hires. Here the stakes are high, as are individual’s (and their chosen referees) motivation to deliberately manipulate responses. Once hired however, the competency approach is great for talent assessment purposes. Most organisations are interested in what people do (as opposed to what they have), and how well they do it. Because competency based emotional intelligence measures focus on emotionally intelligent behaviours and how well they are demonstrated, they are very effective for development purposes. If you want to develop emotional intelligence, ask any good consultant or coach and they’ll tell you that giving someone feedback on their behaviour and highlighting behaviours they could demonstrate more effectively is a great place to start. These assessments measure individual’s emotional abilities. 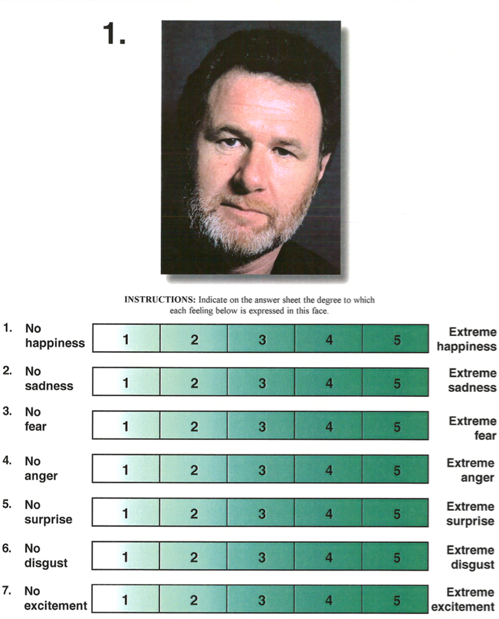 For example, an individual’s capacity to accurately rate the emotion expressed on someone’s face (see Example 1) or the most correct course of action to take in a particular situation (see Example 2). Recruitment/selection of external hires (e.g., looking at whether to hire someone external to your business). Determination of underlying causes of problematic behaviour or social and emotional functioning. Internal talent assessment and development. Many commentators have asserted the superiority of ability based approaches (such as the MSCEIT), because they do not rely upon the insight of the respondent and are not susceptible to socially desirable responding. This is true and why this approach is perhaps best suited to Recruitment and Selection. However, we recommend coupling this approach with role-plays and interviews to understand how the candidate is likely to use their emotional intelligence. What the ability based approach doesn’t give insight into is what they person does with their emotional intelligence. Hitler and indeed perhaps Donald Trump, might have high levels of emotional intelligence, however use it in nefarious ways. The Emotionally Intelligent, individuals with high levels of emotional intelligence and who demonstrated effective use of that ability in the role play. The Emotionally Intuitive, individuals with low levels of emotional intelligence yet applied that ability effectively in the role play (e.g., demonstrated sensitivity to interpersonal cues and positive interpersonal behaviours). The Emotionally Negligent, individuals with high levels of emotional intelligence yet could not apply that ability effectively in the role play (e.g., missed others’ emotional cues). 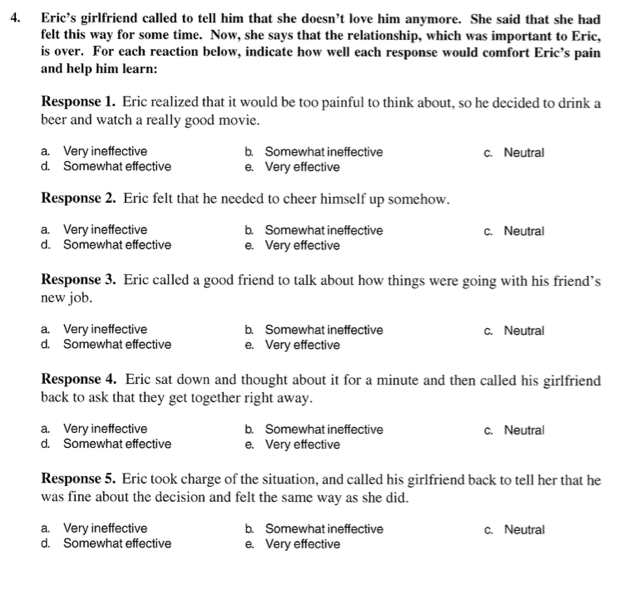 Interestingly, Tatton reported that upon reviewing their performance the ‘‘emotionally negligent’’ individual was able to discuss what he or she should have done or what would have been a better approach in the role play. The Emotionally Manipulative, individuals with high levels of emotional intelligence who chose to use this ability in a more nefarious intent during the role play (e.g., lowering others’ self-esteem to enhance their own position or dismissing others’ feelings so as not to validate them). The Emotionally Unintelligent, individuals with low levels of emotional intelligence and who failed to demonstrate effective use of that knowledge in the role play (e.g., missed others’ emotional cues, etc). In development contexts and when looking at internal hires it might be best to look more directly at how someone is currently using their emotional intelligence with a competency based approach. The Trait/Mixed measure approach is perhaps best suited to the determination of underlying causes of problematic behavior or social and emotional functioning. This is due to the fact that these measures really tap internal views of oneself, or to quote Petrides (the author of the TEIQue), “Trait EI essentially concerns our perceptions of our inner world. An alternative label for the same construct is trait emotional self-efficacy”. If you want to understand some of the potential causal factors underlying someone’s poor social functioning, this approach may provide the best picture. Whilst both of the top measures in this area come in 360-degree/rater formats, we question the validity of these and caution their use. It might be better to stick to the self-only assessed versions of these scales. Most trait-based measures are designed to measure a large constellation of traits. For example, the 133 questions of the EQ-I 2.0 measures 15 different traits from Self-Regard, to Assertiveness to Stress Tolerance and Optimism. Similarly, the 153 questions of the TEIQue measures traits as broad ranging as Adaptability, to Emotion Regulation, to Self-Esteem, to Optimism. While this can be a strength on the one-hand it can be a weakness on the other. For talent assessment purposes, where an Occupational Psychologist is wanting a heap of information on someone for the purposes of better understanding their inner world (and talent potential), these large models and measures are useful. However, they are, as a result, difficult to understand and complex to interpret. For talent development purposes this approach may be less useful. 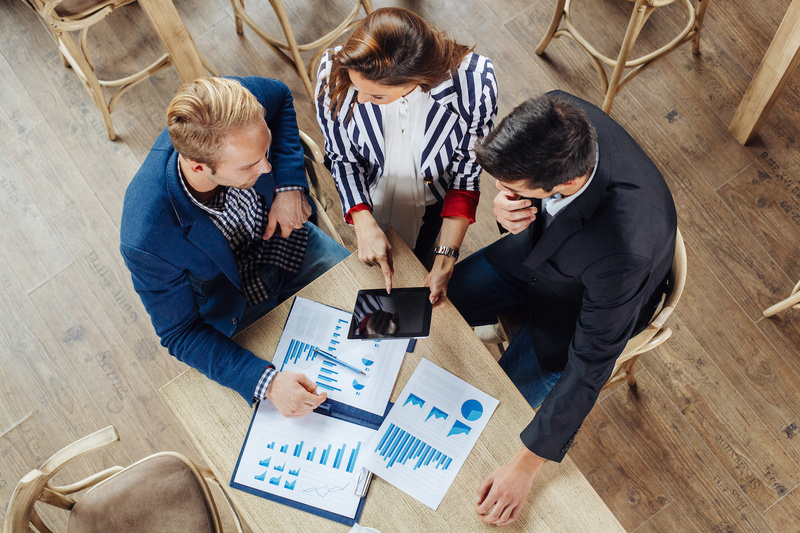 In many development contexts you need to be able to perform a meaningful debrief of results to an individual or group for the purpose of raising their self-awareness and helping them identify areas for improvement. When models are large and interpretation is complex individuals are not as likely to walk away with meaningful, accessible information to utilise. The other issue with trait approaches is that most people see traits as something you either have or don’t have or elements of your personality that are difficult to change. This is why the competency approach that focuses on behaviour rather than self-perceptions of traits may be more useful in a development setting. All the emotional intelligence assessments mentioned in this article have good psychometric properties, being reliable and valid measures of their respective approaches. In comparison research by Boyle and colleagues, the Competency Approach comes out best, followed by the Trait Approach and finally by the Ability Approach. However, this is a psychometric comparison rather than one that also takes into account the best suited use of the various approaches. Each have their pros and cons and are suited to particular uses. For recruitment of external hires we recommend the MSCEIT or a behaviour based assessment that includes sophisticated measures of socially desirable responding such as the Genos EI Recruit tool. For development purposes we recommend using a competency based approach such as the Emotional and Social Competency Inventory or The Genos Assessments. For talent assessment (where an Occuptional Psychologist is involved), or for assessing problematic social and emotional functioning, we recommend using a trait-based approach such as the TEIQue or EQ-I 2.0. Ben has a background in psychology having a finished a PhD at Swinburne University in Melbourne Australia where he developed the first Australian model and measure of emotional intelligence. He has an extensive publication list in the area, has been invited to contribute chapters to books and guest edit special issues of journals on the topic. Together with Swinburne University’s commercialization arm Ben founded Genos International in 2002 to bring his model and measure of emotional intelligence to the market. The first major customer of Genos was ANZ Bank where Ben and the Genos team worked together with McKinsey & Company on transforming the culture of the organisation to be more customer centric. The Genos model and measure of emotional intelligence was used as one of the mediums for this transformation that resulted in the Bank doubling its share price in 18 months and winning Bank of the Year 8 times in a row. Genos, and the model and measure of emotional intelligence that forms its core business, is now a national and Australian export success story. Genos has operations in Australia and Europe and distribution partners servicing clients in the USA, India, China, South Africa, South East Asia and New Zealand.